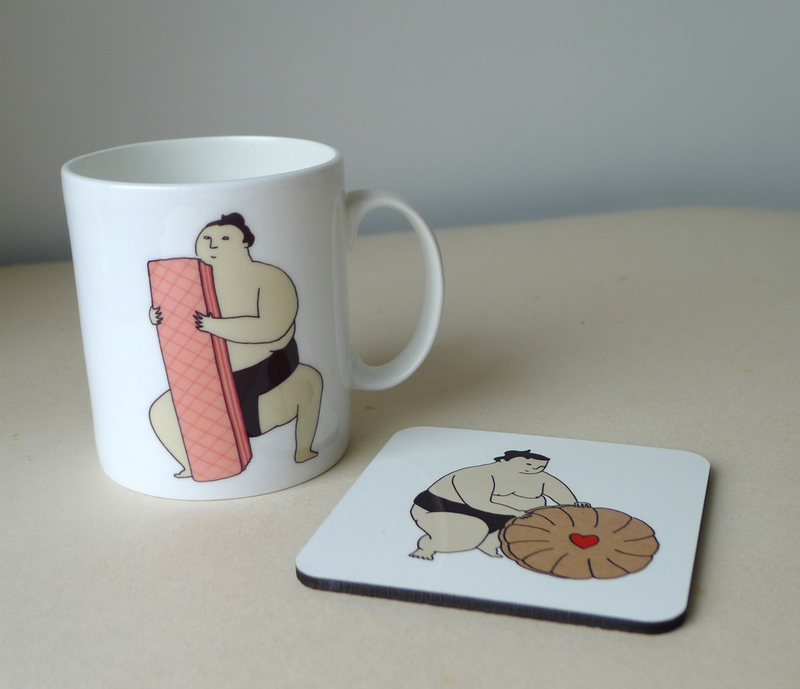 Naomi Sloman‘s illustrated products are all kinds of awesome. 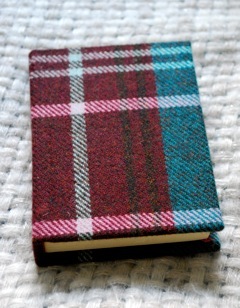 They make fantastic gifts for guys and gals and will be available at Brighton Craftaganza on Saturday 29th November. I make products featuring my original illustrations including greetings cards, prints, tea towels and, new this year, mugs & coasters. I have a part time job for three and half days a week so I spend my other day and half creating designs for my products as well as working on other illustration commissions. I work from my home office/ studio and manage to spread my stuff all over it even though I’m meant to share it with my husband! I started selling three years ago at Brighton and Hove Artists Christmas Open Houses. 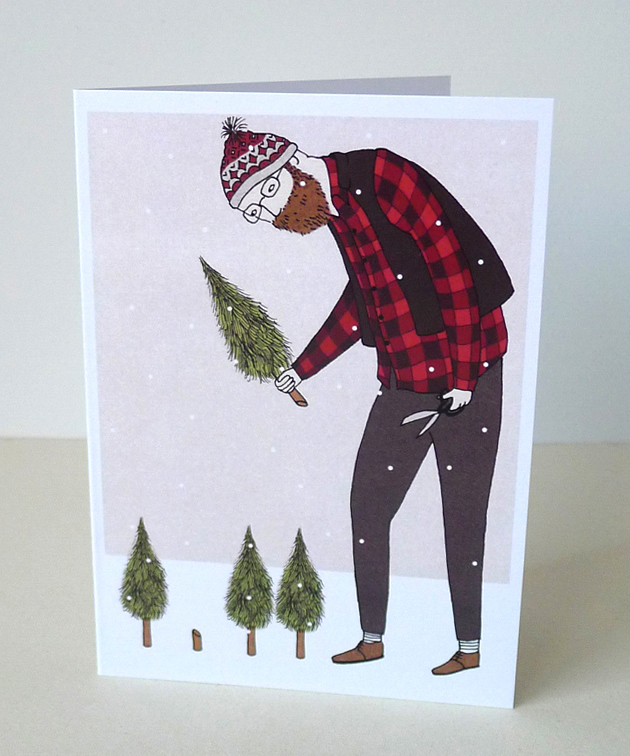 I now have an Etsy shop and my Christmas Cards have been sold in a few Brighton shops. 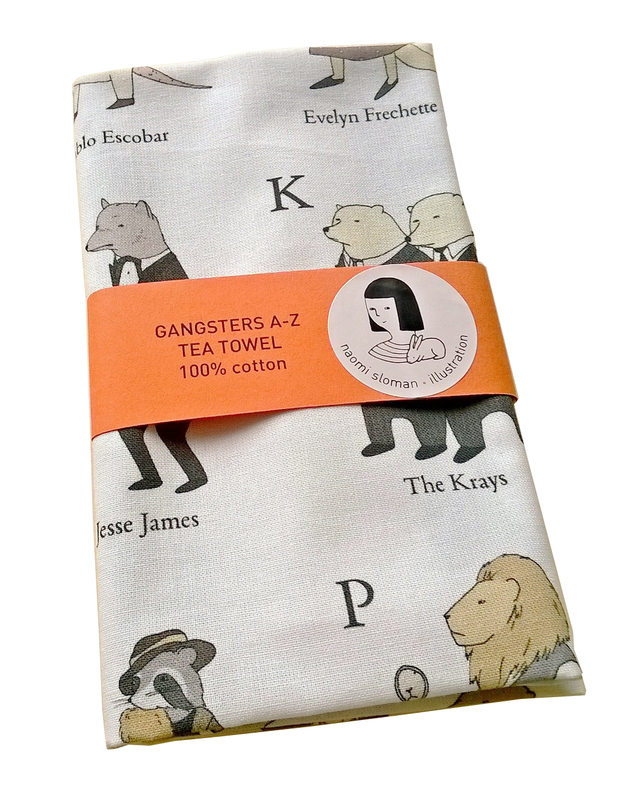 This year you can find them at the wonderful Dowse on Western Road along with my A-Z Gangster print. 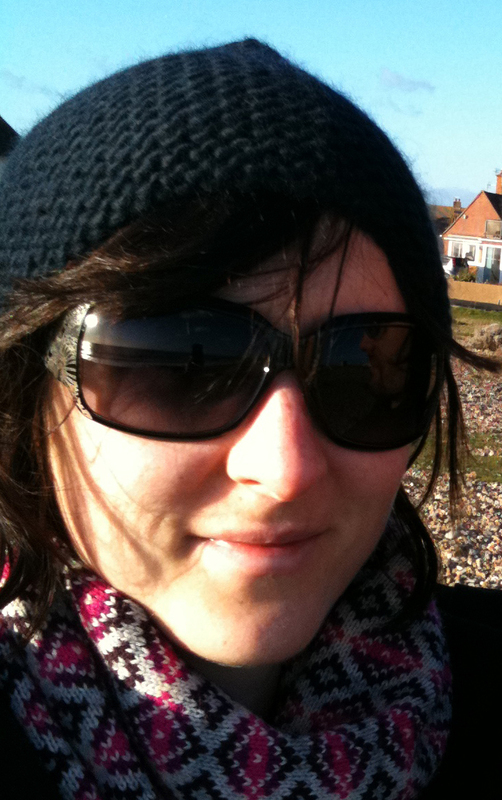 I moved to Brighton from London 4 years ago. I love London and city life but I also love getting out to the countryside. It’s unbelievably difficult to do that in London – I once spent two hours trying to get from Paddington to the end of the Metropolitan line for a winter walk. By the time I had arrived and eaten a pub lunch it was dark and time to go home. Being sandwiched between the sea and the South Downs is perfect. I would love to be a good photographer but I don’t have the time to learn at the moment. I’m a bit of a cheat and resort to using special effects to create a ‘professional’ photo! I mainly draw people and animals so any quirky people I spot out and about can lead to new ideas. Traveling abroad is also a great way to get fresh inspiration. And I love a good story – I recently made a short comic about a Victorian menagerist, which will soon be available to buy in my Etsy shop. 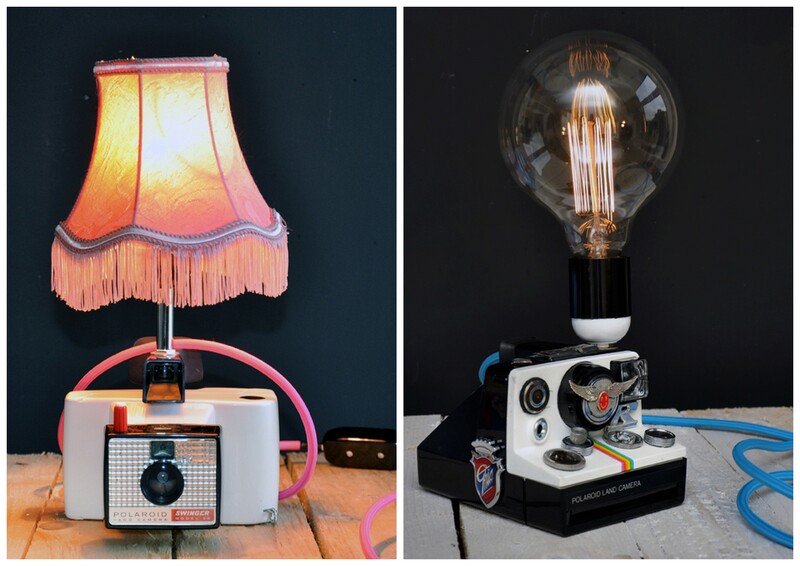 I’m thrilled that the lovely Super+Super ladies will be pitching up to Brighton Craftaganza this Christmas! Come and see their delightful wares on Saturday 29th November. 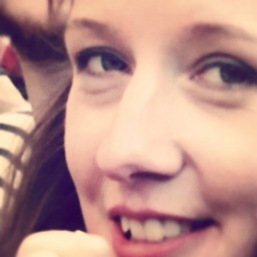 Hi, we’re Claire and Amy from Super+Super in Brighton. 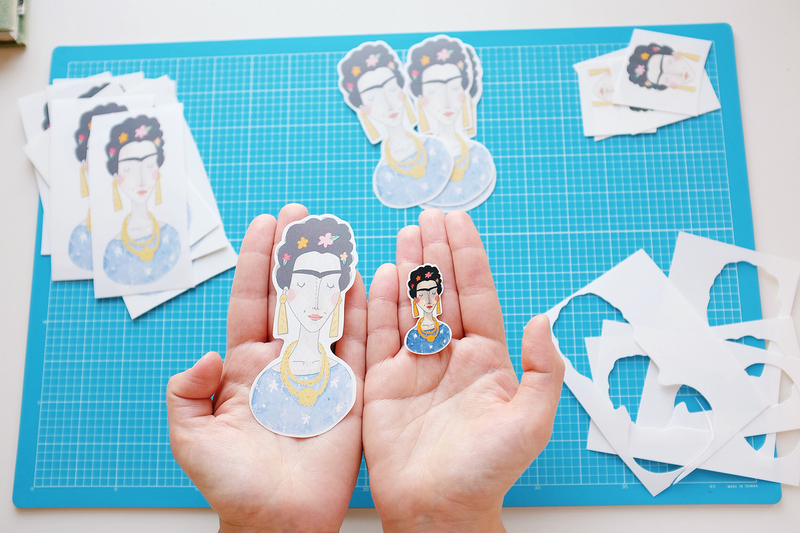 Super+Super offers studio spaces, workshops and craft parties for creatives. We have also just released our first two books, entitled ‘Printmaking’ & ‘Embroidery’ which are available online and in all good book shops. 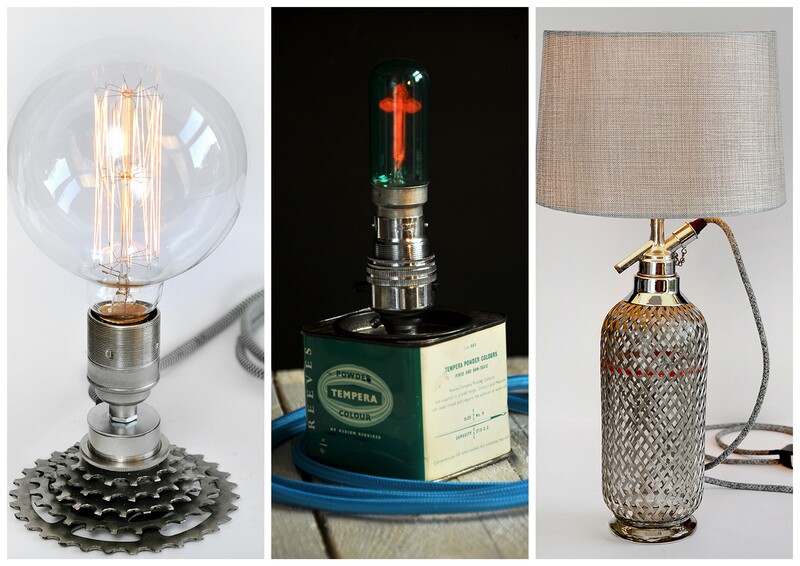 We are bringing a small selection of our favourite products to Craftaganza. 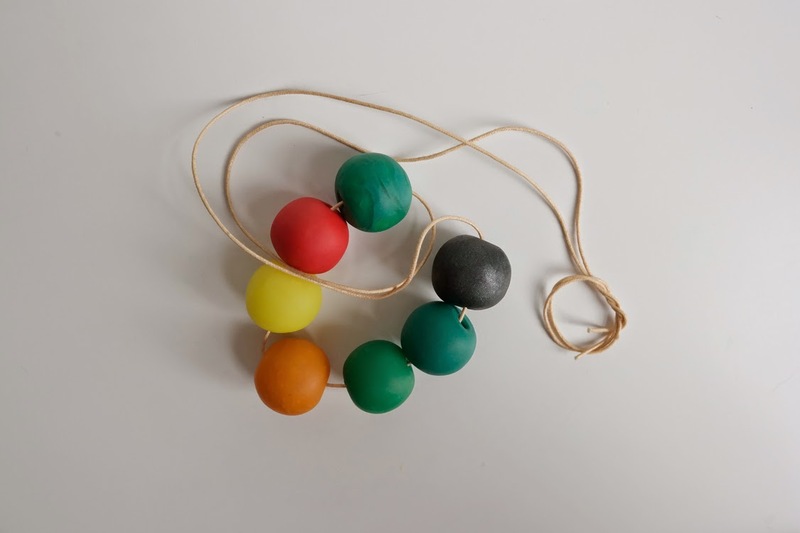 You can expect a selection of bright coloured crochet cord necklaces like the ones we wear all the time and hand rolled fun giant bead necklaces. 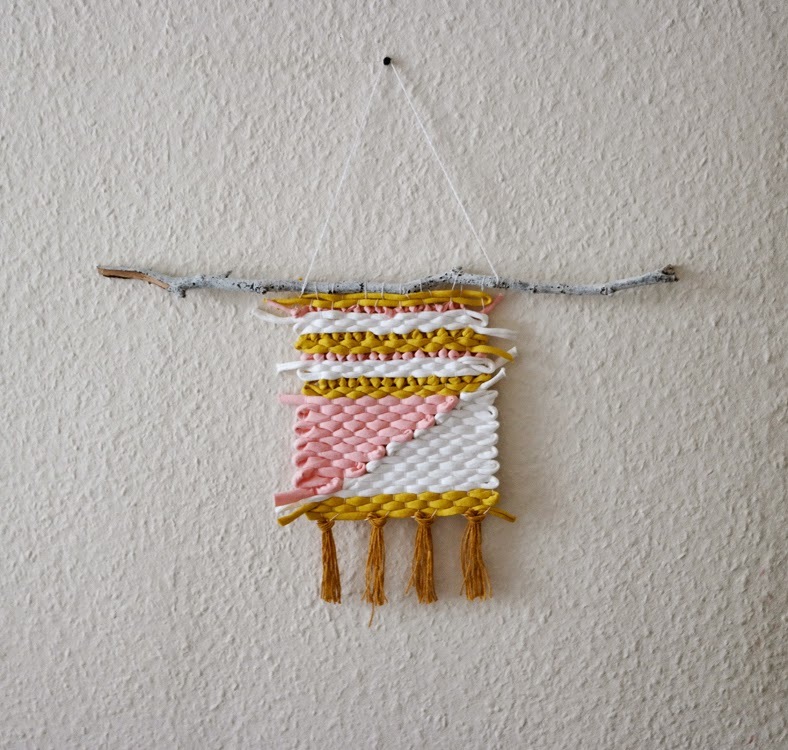 We also make woven wallhangings out of cool coloured jersey yarn (our favourite material at the mo!) and they come in a variety of sizes. 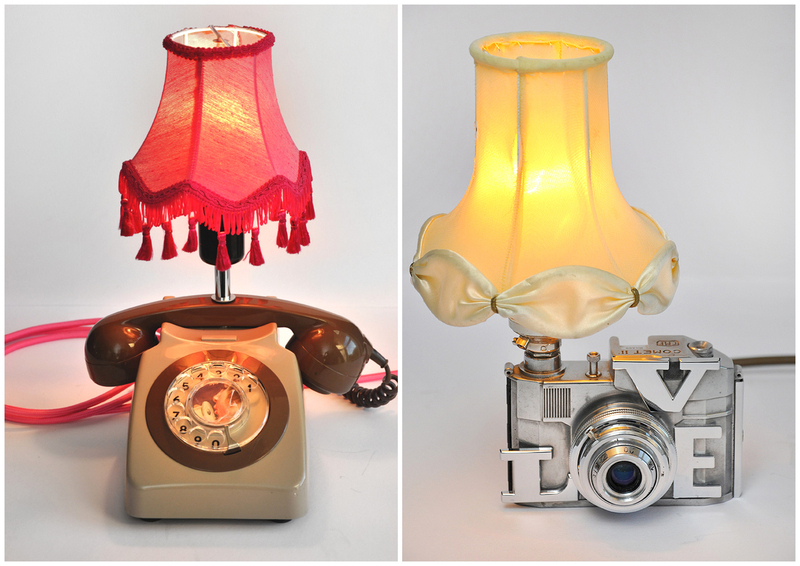 Perfect to brighten up your workstation! 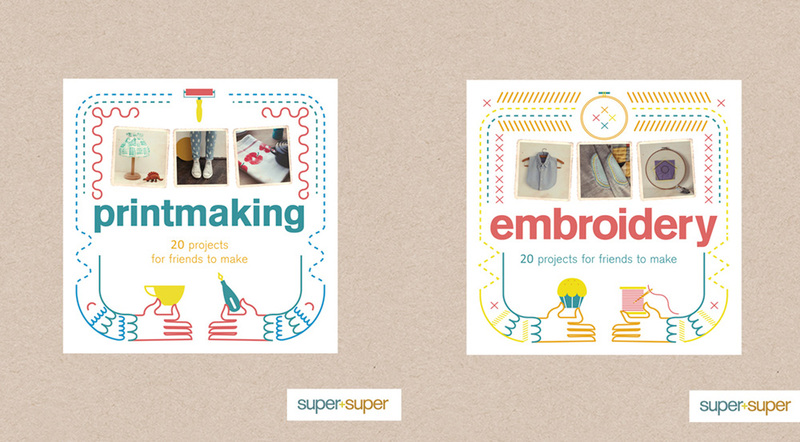 We are also very excited to bring signed copies of our two publications to Craftaganza too! We make all of our products in our HQ. 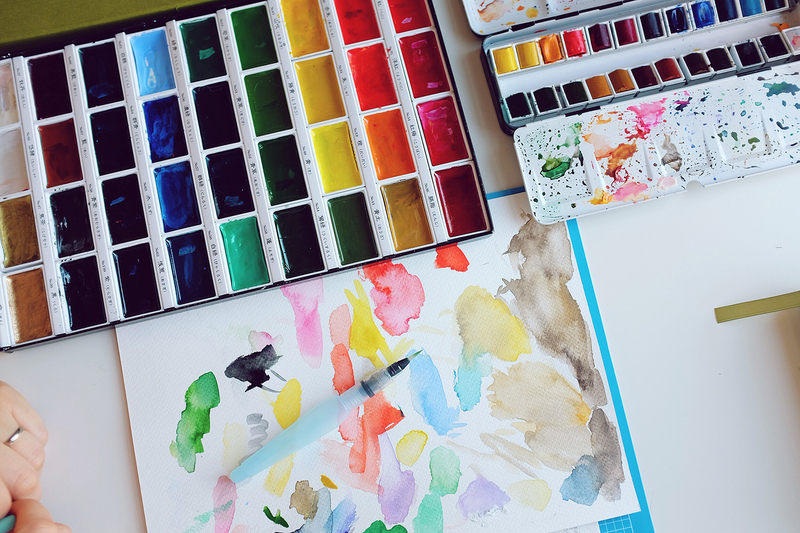 The HQ is the ideal space to be creative and make a mess, although we must admit they often end up finding their way into our bags to finish at home, on the sofa with our cats! Amy is a craft fair veteran and has been selling her Miss Amy Phipps wares for years. Claire was also selling vintage clothes online so when Super+Super was formed we put our heads together and started doing fairs selling second hand clothes and handmade products. Amy went to University in Brighton and is still here to this day and Claire moved to Brighton after going to university in Southampton. Both of us feel that it’s such a creative place to live and work and we couldn’t imagine being anywhere else. Although we would’t say no to an NYC HQ! We’ve tried everything once! 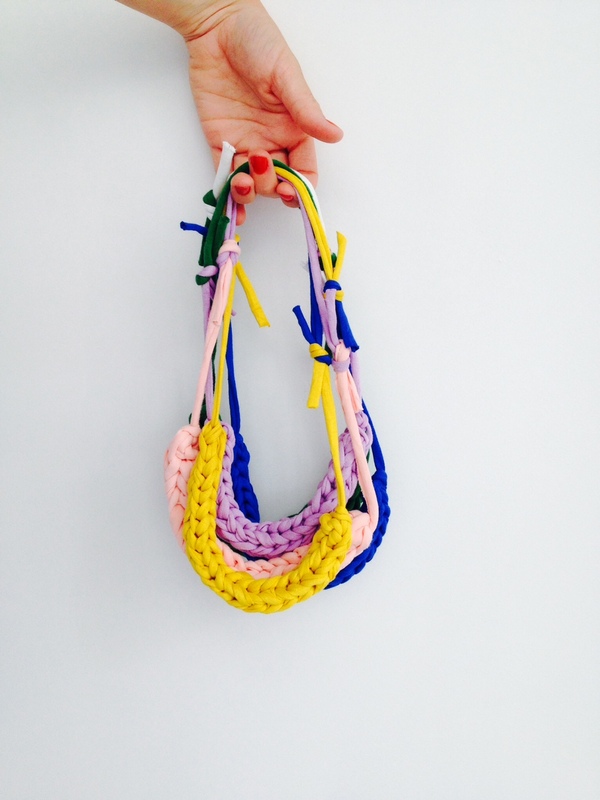 We love learning new skills but our favourites are probably screen printing, macrame, embroidery and papercutting. A lot of the products we make are all ones we want to wear ourselves. We find a lot of inspiration from learning new craft techniques, a new type of material and bright colours. 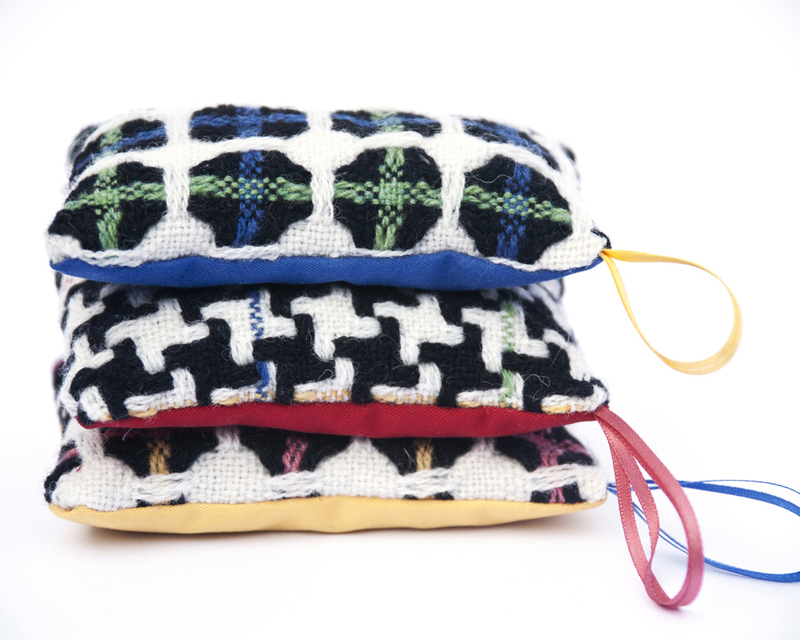 We are so excited to have Rosy Appleton with us selling her wonderfully unique products made from fabric woven by her own fair hands! Being involved in every step of the production of her product range is truly inspiring. Come and see her work on Saturday 29th November. Hello, I am Rosy from Rosy Appleton Woven, and I make woven things. 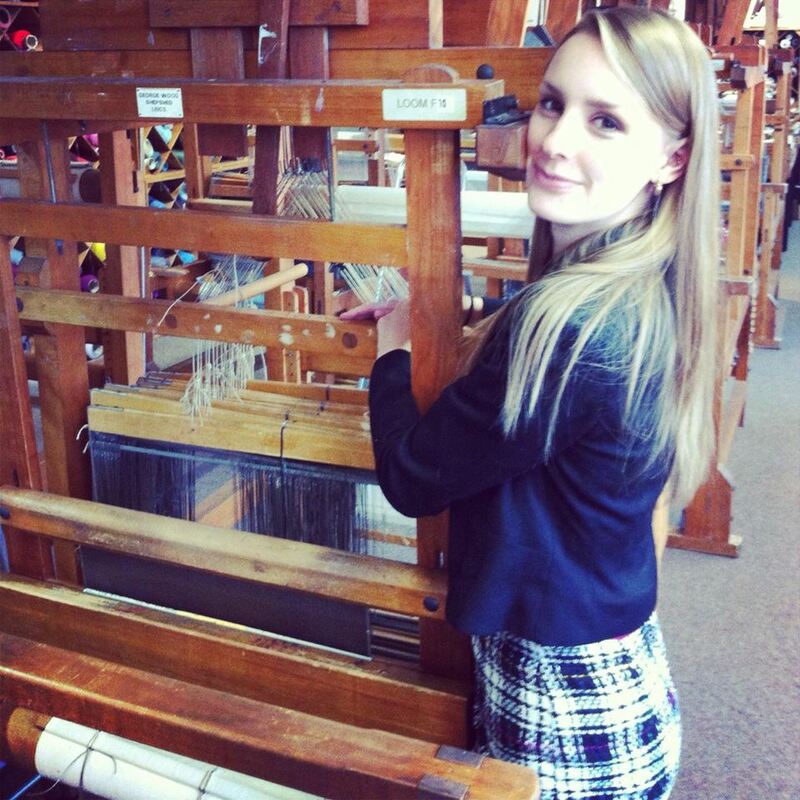 I studied Textiles at De Montfort University and Winchester School of Art and fell in love with weaving. I liked the preciseness and technical limitations that you have to work around to get something new and interesting. My current collection of fabric is all woven with Shetland wool. 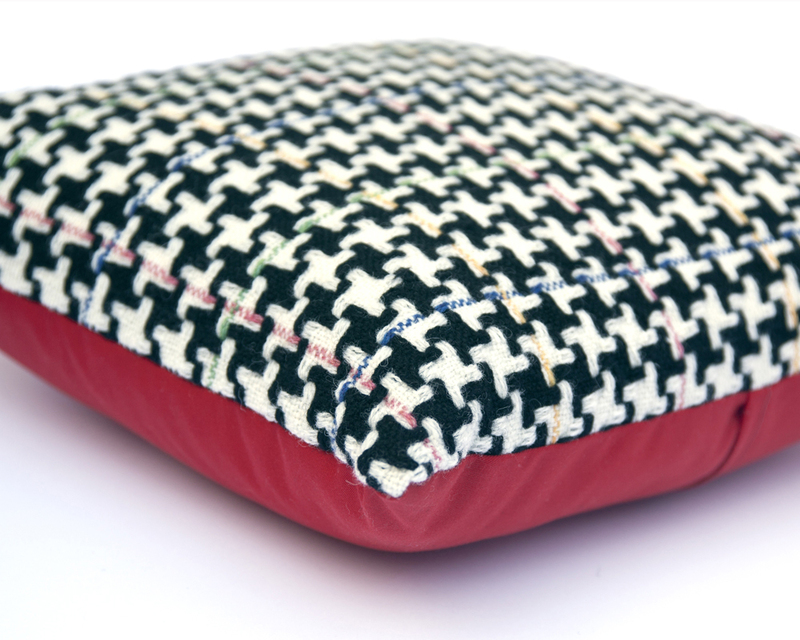 It is really homely and comforting, very soft and comes in lots of colours. 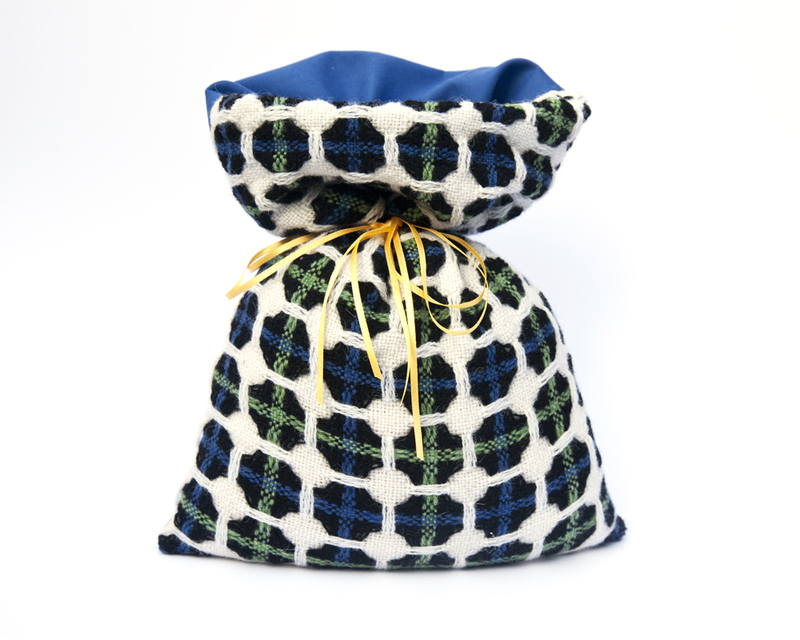 I make my fabric into fashion and home accessories, such as cushions, door stops, lavender bags, scarves, iPad cases and tote bags. I design and sample my fabrics on a table loom at home. I am the woven textiles technician at DMU, so over the summer on my days off I got to weave all my fabric on the bigger (and slightly faster!) looms. It was hard work. Since then I’ve been busy on my sewing machine making my products. When I finished uni I really missed weaving so I bought myself a little loom with some money I inherited. I was living in a tiny flat at the time so I went for the smallest to fit it in. When I first had the idea of making and selling it was too difficult to keep up with production. So now I have this job it’s perfect to fit in the extra work. And the benefit of working at a uni is fantastic for inspiration, the equipment and having lots of creative brains to pick! What drew you to the Brighton to sell, if you are not a ‘native’? After university I moved down to Brighton. My Mum and brother had already moved down and I had visited many times and loved it. I moved back up to Leicester when I was offered my job. I really miss the creative atmosphere and the amazing shops and bars and restaurants. So selling in Brighton is an excuse to soak it all up again. I like to try out all sorts of crafty things. I make some beaded jewelry, I dip dyed a duvet cover, Harris tweed cushions for my living room, anything really. I bake a lot too, if that counts?! I tend to come across one thing or another that will spark off a chain of memories which I use as my inspiration. My current collection is inspired by childhood memories. I bought a skirt from Beyond Retro that reminded me of Licorice Allsorts, which reminded me of my Nana, which reminded me of other memories of being little and that started off the process for me. ‘It is what it is.’ Weaving can be a very slow and at times a frustrating process. There’s no point in getting annoyed if you have to spend time fixing something, struggling with tension issues or rushing to a deadline, as it is what is and you just need to get on with it! I dare you to not find Viktorija from Andsmile‘s work adorable! With super affordable prices, these pieces of wearable art could tick many of your Christmas present boxes. On sale on Saturday 29th November. 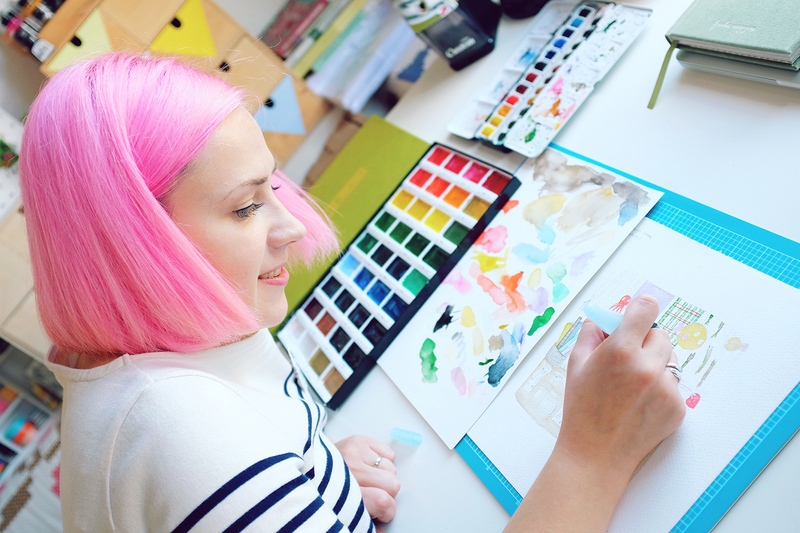 Hello, My name is Viktorija and I’m an illustrator and designer maker. 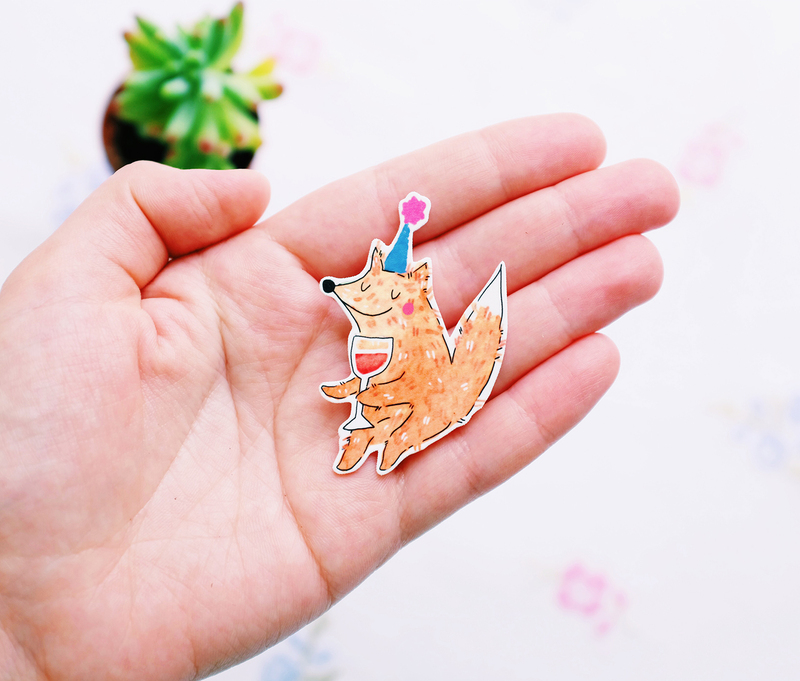 I make quirky badges, earrings and necklaces, all based on my drawings and inspired by imaginary pet friends and popular culture. I’m selling my goods for over two years (soon will be three). 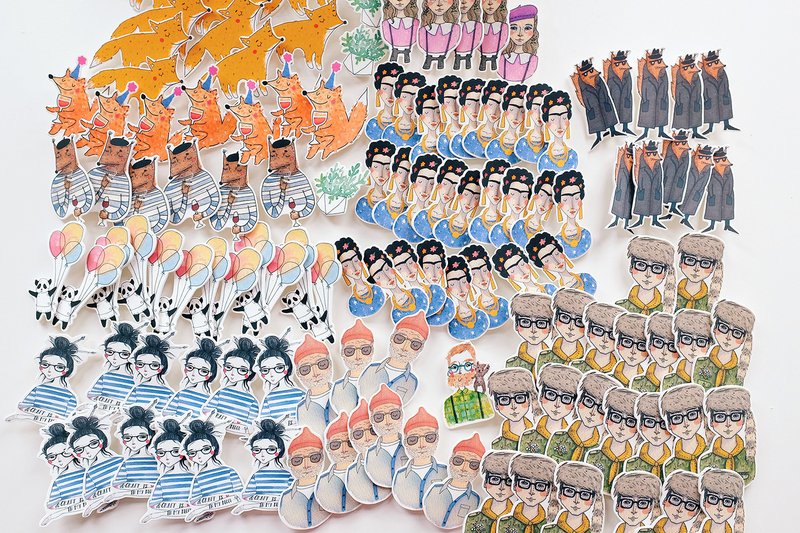 It all started from an etsy shop and couple of postcards and an idea that I wanted to make wearable and usable art. So I tried making brooches and earrings and kept doing so since. What drew you to Brighton, if you are not a ‘native’? Usually it’s my favourite characters from tv shows and films and sometimes it’s stories from my life or my imaginary friends lives (like pandas and smoking squirrels). I make pendants, rings and small sculptures out of wood, plastic, brass, silver, copper and gold. I use clean forms and polished surfaces to reveal the qualities of the material, to catch the light and attract the eye. 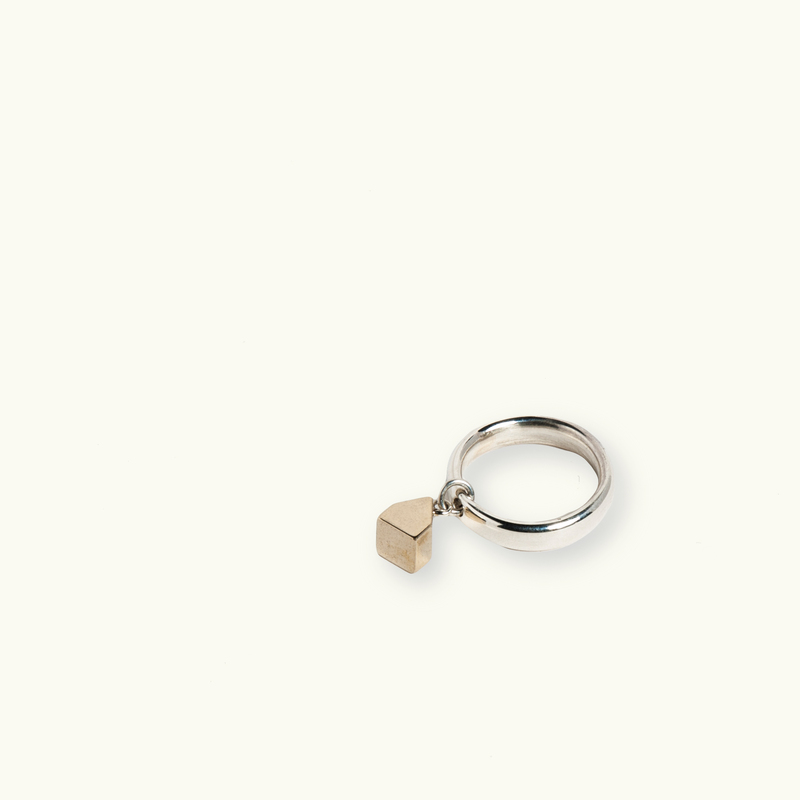 The pieces are highly tactile inviting the wearer to play and fiddle with them. 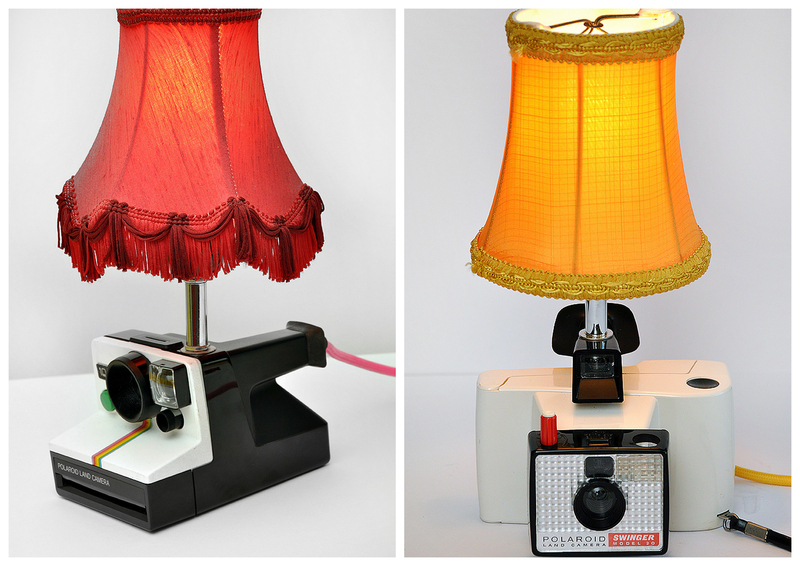 They have also been designed to be displayed simply as objects on the mantle piece or on a shelf. 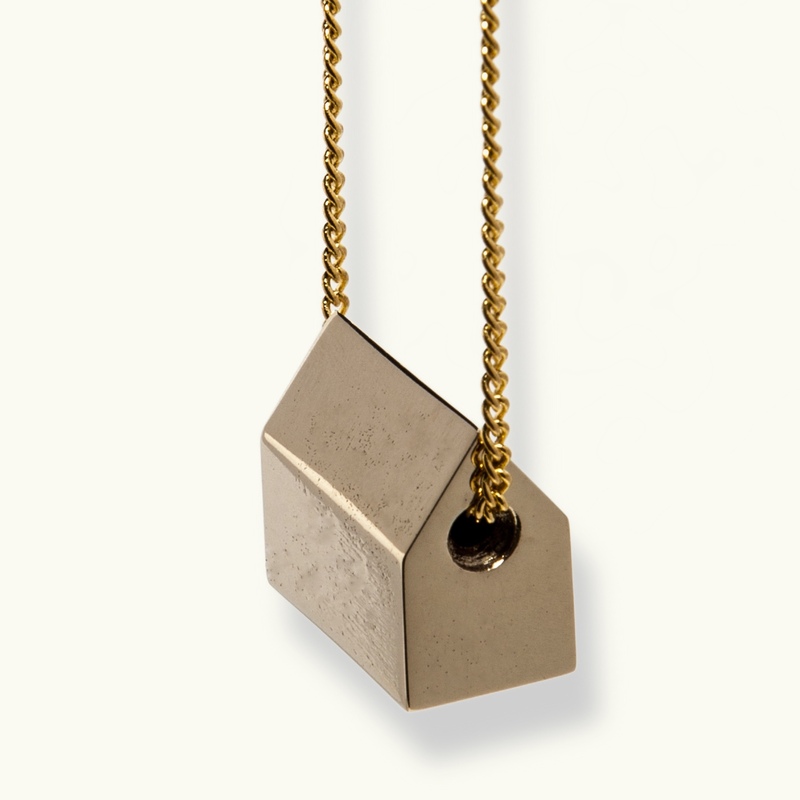 I have a workshop in Brighton where I develop designs which generally emerge through the making process. At home, when I’m on the bus, walking and cycling I’m also designing and developing my ideas. I studied 3d Design Materials Practice at the University of Brighton, since graduating in 2011 I’ve worked for other jewellers. 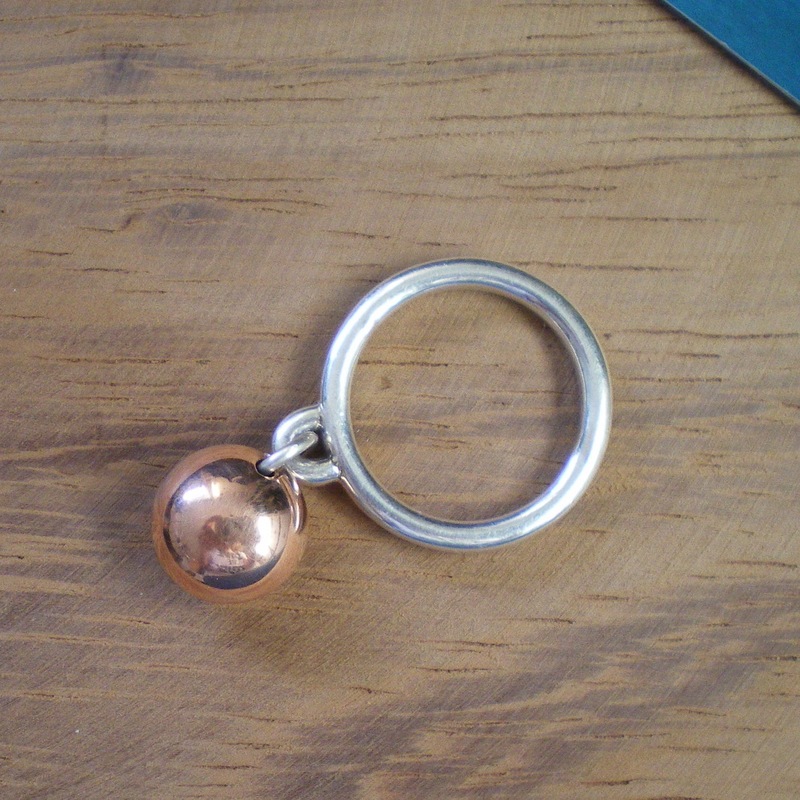 I have had my workshop since graduation and am there most of the time, in this last year I’ve developed the business and am beginning to do more jewellery and craft shows, and provide work for various stockists. I love all art and craft practices and try everything I can get my paws on! I spend time painting and drawing. Films, books landscapes, people, holidays, places and spaces and the feelings and wonder they evoke. This crafty couple with be selling their awesome product ranges on Saturday 29th November at the Christmas Brighton Craftaganza. 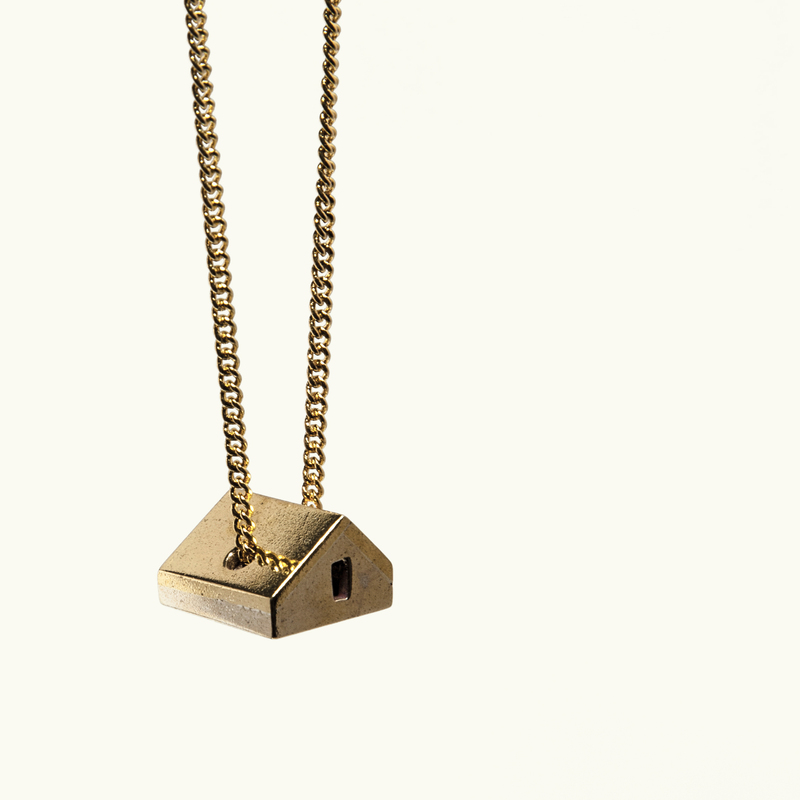 I can’t wait t check out their clever laser cut jewellery and beautiful notebooks. Hello, we are Snapdragon Designs. A husband and wife team Shelley and John, from Kent. 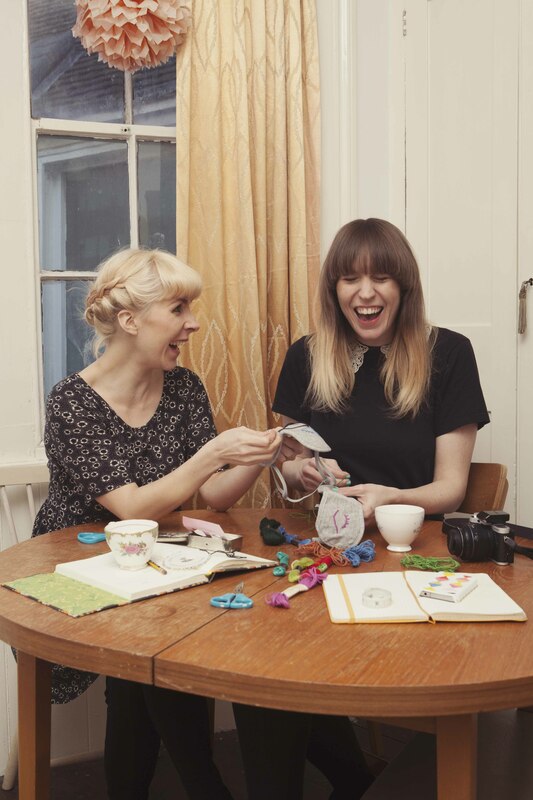 We met and Art college and gained degrees in Graphic Design from De Montfort University. 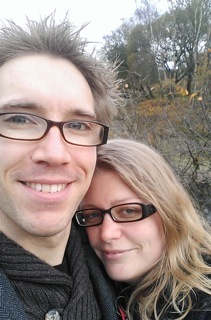 Shelley has been a professional Book Binder for 10 years and John a Design and Technology teacher for 8. 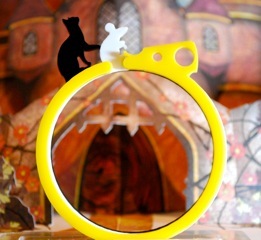 We make a range of unique and quirky acrylic jewellery influenced by fairy tales, stories and books alongside a range of handmade books and lasercut cards. 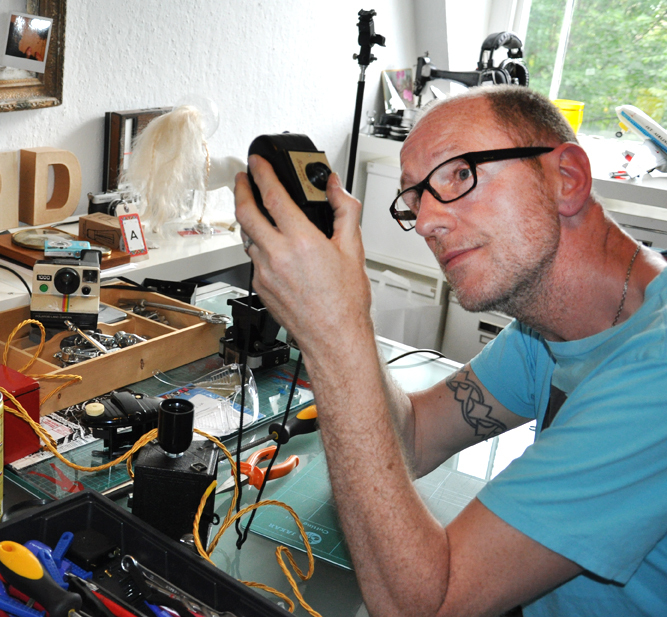 Most of our designing and making is done in our tiny one bedroom flat, but thanks to John being the head of Design and Technology we also use his workshop space as a place to spread out. We are hoping to finally get a workshop of our own sometime in the near future. We started selling my wares at small craft fairs and gradually making our way up to bigger and better things! It all began with me wanting to make pretty things so I started to make hand bound books from vintage fabrics and beautiful handmade papers. 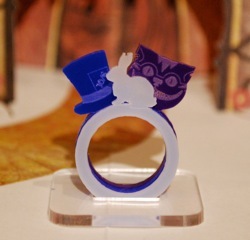 Then John made me a laser cut cat ring and it all grew from there. Brighton has always been to us a haven for the creative and quirky, somewhere we have loved to visit, especially to amble around the Lanes shopping for the weird and wonderful. This made it an ideal destination for us to take our individual designs. Hmm lets see, I’m always trying out new things, depending on what mood I’m in! I’ve dabbled in marquetry, knitting, silversmithing and hat making to name but a few. Being a Design and Technology teacher, John, gets to play at new things everyday with a variety of materials! Often is the phrase “look what I made” uttered as he walks through the door. All sorts really, I used to read a lot when commuting to London everyday and the type of books I read always had an element of fairytale to them. Shelley: Right, we need to make . . .